In 2015 Visit Bath Mobile App attracted over 71,000 unique users who completed over 2m user sessions. A truly spectacular result for a location based mobile application. 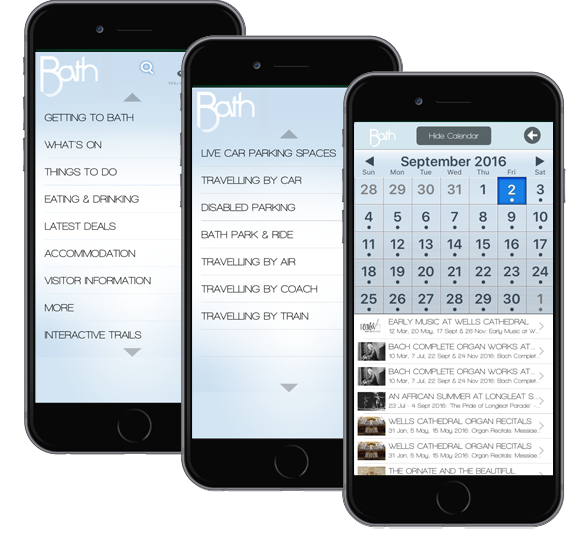 Bath Tourism had a particular set of requirements when it came to choosing the supplier of their Mobile Applications. 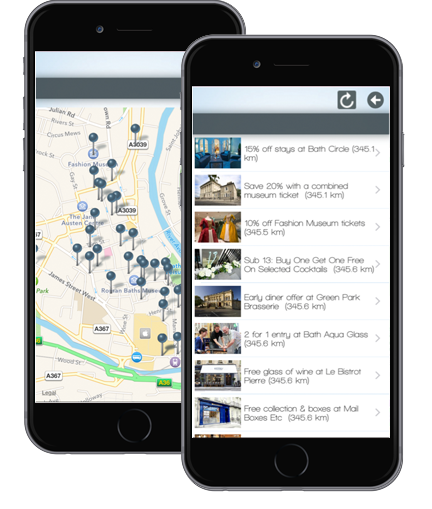 iGuide’s Technology ensured Bath Tourism, Bath Heritage Centre, Bath County Council and individual business in Bath use their live information channels to populate the mobile application to provide the latest information on Smartphones to their locals and visitors. To develop a suite of native mobile applications which would be populated by the current Destination Management System and to strictly adhere to Bath Tourism design guidelines. Our client had invested in a Destination Management System (DMS), provided by a third party. Our technology had to read, organise and publish all of the clients current data set from the DMS and make it available for use in a suite of mobile applications. The mobile applications had to work offline, have push and geo-fencing ability and a connection to the DMS. The Apps also had to have the ability to publish “app only” content. 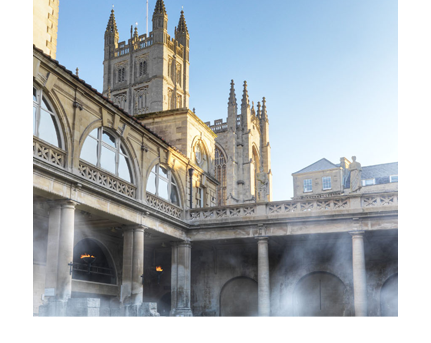 To develop a suite of API’s to populate the native mobile applications from their Destination Management System and to strictly adhere to Bath Tourism design guidelines. The outcome was impressive, in 2015 Visit Bath Mobile App attracted over 71,000 users who completed over 2m user sessions. A truly spectacular result for a location base mobile application.